Dutch pharmaceutical giant Mylan un-serendipitously made headlines in 2016 when it raised the price of the life-saving injection device, EpiPen, to over $600.00 per unit, up from only around $50.00 per unit a few years prior. Unfortunately, this was merely one egregious example of the increasingly common phenomenon of skyrocketing drug prices. Long patent protections and inelastic demand allow pharmaceutical companies to routinely raise prices on essential medications by hundreds or thousands of percent. Examples of drugs costing hundreds per pill or tens of thousands for a course of treatment abound. The rarer the ailment, the less likely competitor generics are to enter the market and the more leverage the manufacturer has in raising prices. A part of these eye-popping prices is a natural consequence of the ever-increasing difficulty of developing new drugs. Pharmaceutical companies spend billions of dollars developing thousands of compounds, in the hopes that a handful will lead to viable medications, of which one or two might pass the long and rigorous FDA approval process to reach the market. Nonetheless, these costs are all-but impossible for the average patient to keep up with, so most of the cost gets passed on to insurance providers, the largest of which is the U.S. taxpayer. Amid calls for regulation, Congress has been slow to react. Alternatively, state legislatures, motivated by the impact high drug prices have on state Medicaid budgets, have taken a more aggressive stance combating rising drug prices. New York, for instance, limits what state programs will pay out for drugs the state deems to be priced disproportionately high when compared to their medical benefit. 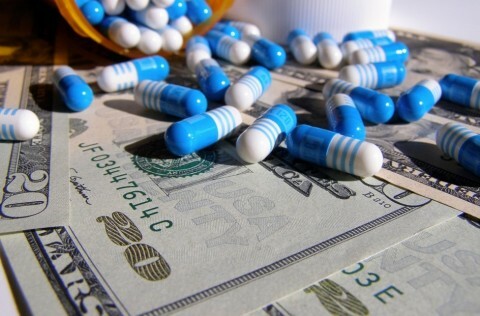 In 2017, four states passed laws prohibiting third-party administers of prescription drug benefits from restricting pharmacists’ ability to inform customers about cheaper options for filling their prescription; an unfortunately common practice, known in the industry as a “gag rule.” California recently passed SB 17, a law requiring drug makers to disclose significant price increases ahead of time and make a public justification as to the need for the increase. Many other state measures of one kind or another have been enacted. Maryland’s legislature passed one of the most ambitious solutions. HB 631 went into effect in October of 2017, over a veto from Governor Larry Hogan, who objected that the law was unconstitutional. HB 631 created a cause of action for the State Attorney General against generic drug makers who increased the price of any “essential” drug by 50 percent or more during a single year. However, an industry trade group representing the drug succeeded in having the law declared unconstitutional by a federal appellate court last week. In addition to setting back Maryland’s consumer protection efforts, the decision could be useful to other pharmaceutical industry groups in rolling back other state laws, including the one currently mounting a challenge to California SB 17. After the District Court found in favor of Brian Frosh, Maryland’s Attorney General and the named defendant, plaintiff Association for Accessible Medicines (“AMA”) appealed to the Fourth Circuit Court of Appeals. On April 13th, a divided three-judge panel handed down its decision, agreeing with AMA that the law violated the dormant commerce clause’s extraterritoriality principle. The court described this principle as operating to prohibit state regulations which “’regulate the price of any out-of-state transaction, either by its express terms or by its inevitable effect.”’ The majority opinion found the broad scope of activities potentially affected by the Maryland law problematic. In relevant part, the law established a cause of action based on the price of the “initial sale” of any drug “made available for sale” in Maryland. As written, the law would implicate out of state transactions because, as Frosh’s counsel admitted at oral arguments, the ‘initial sale’ of nearly every drug sold in Maryland involves a manufacturer located outside the state, selling to a wholesaler, also located outside the state. For the majority, the regulation of these out of state transactions amounted to a regulation of out of state commerce, in violation of the dormant commerce clause. The dissent decried the majority’s interpretation of the dormant commerce clause and questioned whether the extraterritoriality principle was even valid constitutional law. Its reasoning centered around the idea that the purpose of the dormant commerce clause is to check state laws which “discriminate against interstate commerce or favor in-state interests over out-of-state economic interests” and that this HB 631 accomplished neither. The dissent argued that absent these concerns, Maryland could regulate any “stream of commerce” that ends in Maryland. The significance of the decision, as well as the stark disagreement about the nature of the dormant commerce clause and the continuing vitality of the extraterritoriality principle, make the case a viable candidate for en banc review, where all the Fourth Circuit Court of Appeals judges would have a chance to weigh in, or potentially a grant of certiorari from the United States Supreme Court. However, for the time being, the majority decision is law in the Fourth Circuit. If legislators in Maryland, North Carolina, South Carolina, Virginia, or West Virginia want to enact rules to counter the pernicious effects of runaway drug prices, they will have to proceed in a less zealous manner, or at least in a more circumspect one. Dana A. Elfin, Spiked Maryland Rx Pricing Law Could Kill Similar Efforts, Health Care on Bloomberg Law (April 16, 2018). H.B. 631, 2017 Leg., 437th Sess. (Md. 2017). Tara Parker-Pope & Rachel Rabkin Peachman, EpiPen Price Rise Sparks Concern for Allergy Sufferers, The New York Times (Aug. 22, 2016). April Dembosky, California Governor Signs Law to Make Drug Pricing More Transparent, National Public Radio (Oct. 10, 2017). Shefali Luthra, Federal Appeals Court Finds State’s Drug Price-Gouging Law Unconstitutional, National Public Radio (April 17, 2018). Brad Kutner, Fourth Circuit Overturns Maryland Drug Pricing Law, Courthouse News Service (April 16, 2017).